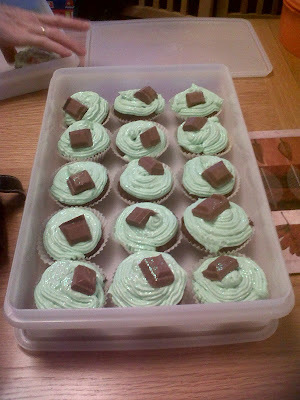 Surviving University One Week at a Time....: My cake indulgence! It's that time of the year, it's cold, gets dark really early and to me, this could only mean one thing. We all need cake! I'm a huge fan of cake - you cannot really go wrong (unless there's banana in it - bleugh!) and this love of cake not only is the eating of cake but extends to baking cake. I cook when I'm stressed - my house has tons of cake during exams... I've sold cakes to the local farm shop and made some money one summer. Safe to say, I can't really go wrong with cake! So in light of this love, todays post is my favourite cake recipe. My cakes - Sprinkled with edible glitter... Can't go wrong! This is supposed to cover 12 but I tend to double the recipe to cover all the cakes and go with it. Now, as much as I love to cook, I'm incredibly lazy. Add all the cake ingredients into a bowl and whisk with an electric whisk until light and fluffy. Divide among cases and place in a oven preheated at 180'c fan assist/Gas Mark 4/350'F. Wait 10-15 minutes and check whether they are cooked. (stab with a sharp knife if it comes out clean, they're done. Allow to cool. Whisk softened butter with icing sugar (Add a little at a time...) add food dye and flavouring until you have a smooth minty green icing. Pipe or spread onto the cooled cakes. Decorate. And enjoy! Ohh wow! They look delicious! Thankyou, couldn't resist the glitter to finish them off! They sound really yummy. I'm a real sucker for mint, so I'm going to give these a go!